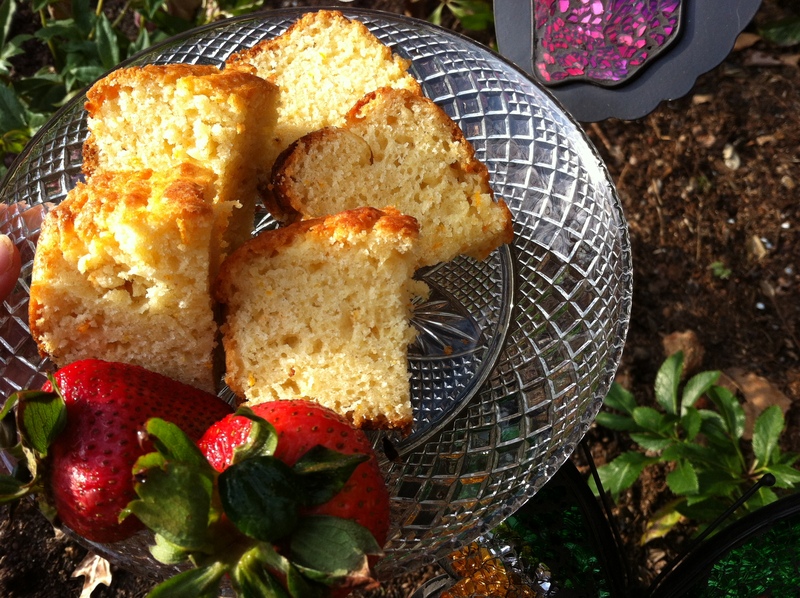 Citrus Pound Cake – Voila! April is a busy month at work. There are teen art competitions to jury, pop up exhibitions to hang and events to organize. Plus the usual deadlines and meetings. This all usually happens within a two week period. We’ve all been there. We all have busy lives, busy workdays and, ideally, relaxing weekends. But sometimes you can’t wait til the weekend. Well, maybe you can, but I can’t. Last week I came home on Tuesday and needed to bake. On my drive home I was mentally searching through my cabinets to inventory what ingredients I had. I had no desire to go to the store – just bake down the pantry! 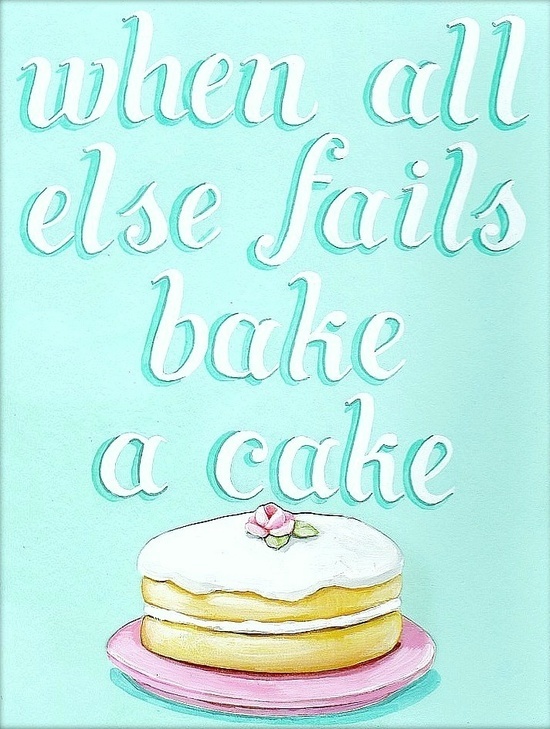 And bake, I did. First, I made two kinds of peanut butter oatmeal cookies: one with almond M&M’s (leftover Easter chocolate) and one with chocolate covered raisins (leftover Passover nosh. This is an outstanding combination.Plus, my dad is allergic to tree nuts so I needed a sub). Next I made a Passover-safe coffee cake that I hadn’t used. I knew if I didn’t use the box mix then, it would sit in the kitchen until next Passover and that just would not do. Finally, I made this citrus pound cake. So. good. It was light, fluffy, zesty and tangy. I substituted orange for lemon since James doesn’t like lemon in desserts, but you could easily choose one or the other, maybe even both! James left for the gym right as I started baking and by the time he got back there were two baking sheets, one loaf pan and one 8×8 dish of goodies cooling on the stove. I get into a flow, move quickly and can feel myself decompress with each passing stick of butter or cup of flour I add to the mix. Using your fingers, rub sugar with orange zest in a large bowl until sugar is moist. Add yogurt, oil, eggs, and vanilla extract; whisk to blend. Fold in dry ingredients just to blend. p.s. Thank you Mary B. for the graphic/mantra above!